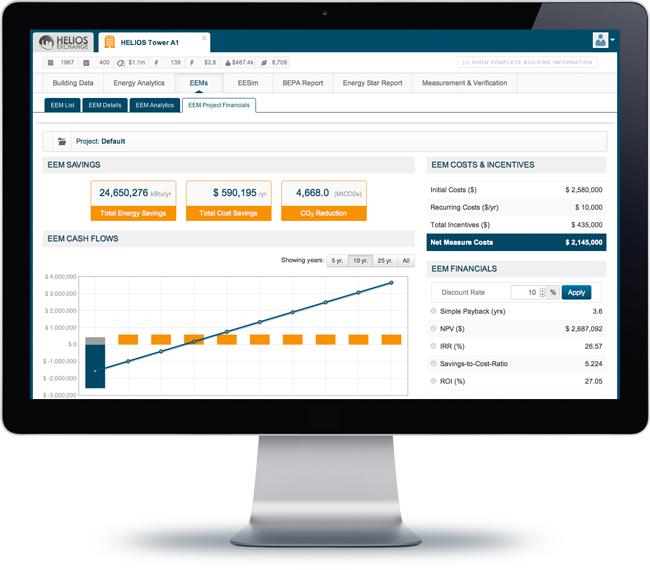 Helios provides the tools to streamline and de-risk energy efficiency project finance. Financiers, PACE Program administrators, and even the CFOs of Property Management companies are overwhelmed with inconsistent energy efficiency project information on the projects they are being approached to fund. Funding decisions are often times deferred, or canceled because project priorities and value proposition are not understood.